By using this website (“Website”) and in consideration of The Shed Group (Aust) Pty Ltd (ACN 611 545 996) and its Related Entities (“The Shed”), as defined in the Corporations Act 2001 (Cth), providing you with access to the Website, you agree to the following Terms & Conditions (“Terms & Conditions”). The Terms & Conditions may be changed by The Shed without any notice. The Shed recommends that you carefully read the Terms & Conditions as they may affect your rights. Access to this Website is permitted on a temporary basis and The Shed reserves the right to withdraw or restrict access to any part of the Website without providing prior notice. The Shed shall not be liable if, for any reason and at any time, the Website is unavailable or inaccessible. You agree not to use or launch, or cause to be used or launched, any automated system or program in connection with the Website without the prior written consent of The Shed. You agree not to collect or harvest any personal information provided by the Website for any commercial solicitation purposes. You agree not to solicit for any reason whatsoever, any users of the Website with respect to the User Submissions on the Website. Unless explicitly identified otherwise, all intellectual property on the Website is owned by or licensed to The Shed (“Intellectual Property”). Where clearly identified, some material on this website may be the intellectual property of individuals or external parties. The Intellectual Property includes, but is not limited to, all audio, video, photos, designs, layout, texts, images, techniques, logos and trade marks as displayed on the Website. Except for the purposes of viewing the Website, the Intellectual Property may not be reproduced, transmitted, adapted, distributed, sold, licenced, modified, published or stored by you, unless with the copyright holder’s prior written consent. 3.1 The Website may link or refer to websites which are not maintained or owned by The Shed (“Third Party Websites”), including third party payment facilities. The Shed makes no representation or warranties as to the Third Party Websites and accepts no liability whatsoever in respect to (the content of) the Third Party Websites. Accessing Third Party Websites is at your own risk. The Shed may permit the submission of written works, photos, audio files, videos or other communications submitted by you and other users (“User Submissions”) and the hosting, sharing and/or publishing of the User Submissions on the Website or on The Shed’s social media. Once any User Submissions are submitted to the Website or through any other social media managed by The Shed (such as Facebook, Twitter or Instagram), the User Submissions become the property of The Shed unless otherwise determined by The Shed at its sole discretion. you indemnify The Shed from and against all actions, claims, demands, losses, damages, proceedings, compensation, costs, charges and expenses for which any The Shed may be or becomes liable in respect to the User Submissions. The Shed does not guarantee any confidentiality with respect to the User Submissions. 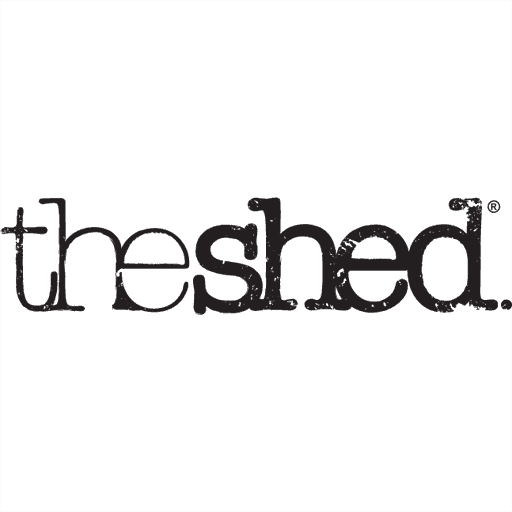 The Shed may publish your name on the User Submissions. The Shed does not endorse any User Submissions or any opinion, recommendation, or advice expressed therein, and The Shed expressly disclaims any and all liability in connection with User Submissions and the hosting, sharing and/or publishing of the User Submissions on the Website or on The Shed’s social media. The Shed does not permit copyright infringing activities and infringement of Intellectual Property and any third party intellectual property on the Website, and The Shed will block and remove all content and User Submissions if properly notified that such content or User Submissions infringes the Intellectual Property or any third party’s intellectual property. otherwise engage in illegal or unauthorised actions in relation to the User Submissions or the Website, including selling or offering illegal or illicit materials or creating illegal private networks. The Shed reserves its right to remove User Submissions (in whole or in part) or particular content in the User Submissions at its sole discretion for any reason whatsoever with or without notice. The Shed has made every effort to ensure that the material contained on the Website is accurate and up to date, however it may be that some material is not totally accurate or up to date. The Shed does not warrant the quality, accuracy and completeness of this material on the Website. The Shed shall not be liable for your use of, or reliance on, any information or materials on this website, which is entirely at your own risk. It shall be your own responsibility to ensure that any products, services or information available through this website meet your specific, personal requirements. The Shed may develop new features which are made available on the Website from time to time (“New Features”). The Shed does not warrant the quality, accuracy and completeness of the New Features. To the maximum extent permitted by law, The Shed disclaims all implied warranties and conditions with regard to any portion of products or services offered through the Website, including merchantability, fitness for purpose, title, non-infringement, and all responsibility for loss, injury and damage of any kind caused to any user of the Website. When you interact with The Shed by way of the Website, The Shed may use features from your browser to assist in recognising your computer device when re-visiting the Website or in tracking online advertising performance (“Cookies”). You may configure your browser so that you are notified before Cookies are downloaded or so that the downloading of Cookies is disabled. You may also delete Cookies from your browser. These Terms & Conditions are governed by the laws of the Commonwealth of Australia. Any claim or dispute between you and The Shed that arises in whole or in part from the Website shall be decided exclusively by a court of the competent jurisdiction located in Sydney, New South Wales. The Terms & Conditions shall constitute the entire agreement between you and The Shed concerning the Website.